Obituary for Joan A. 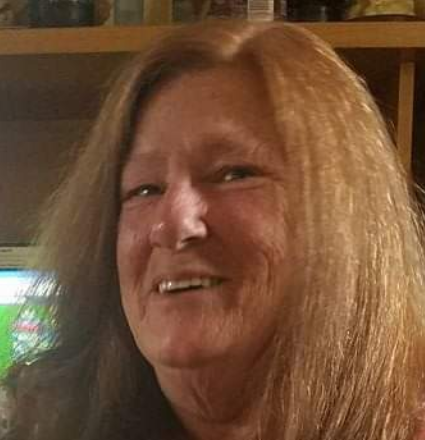 (Eckrich) Havener | TRAUB FUNERAL HOME INC.
Joan A. Havener, 65. of Bridgeport, passed away peacefully at home on Monday with her daughter at her side. She was a loving mother, Grammy and Mimi. Joan loved her plants, roses, reading, garage sales “hunting for bargains”, laughing and telling jokes. She was employed with Colonial Laundromat in Bridgeport for 15 years, until her illness. Joan is predeceased by her husband, Herman Havener, her parents, Robert and Ethel Eckrich and a great nephew, Kaden Eckrich. She is survived by her three children. son, Ed “Bumper” Blair from Syracuse, son, Jason Blair from Candor and daughter, Crystal G. Havener from Bridgeport; grandchildren, Victoria Kipp, Brandon Blair, Lewis Ortman II, Luke Ortman, Karen Ortman, Savanah Blair and Olivia Blair; four great grandchildren; Zachary “Ragnar” Winchell, Jackson “Loki” Winchell, Wyatt Wilcox and Joseph Wilcox; her significant other, Douglas Sigle from Bridgeport; siblings, Robert Eckrich from Winter Park FL, Gerald Eckrich from Tully, NY, Michael Eckrich from Clovis, CA, Penny Eckrich Mintel from Madison, NY and her loving sister, Violet Eckrich from Madison, NY; and numerous nieces and nephews. At Joan’s request services will be private. Joan wanted everyone to remember her for her laughter and sense of humor.